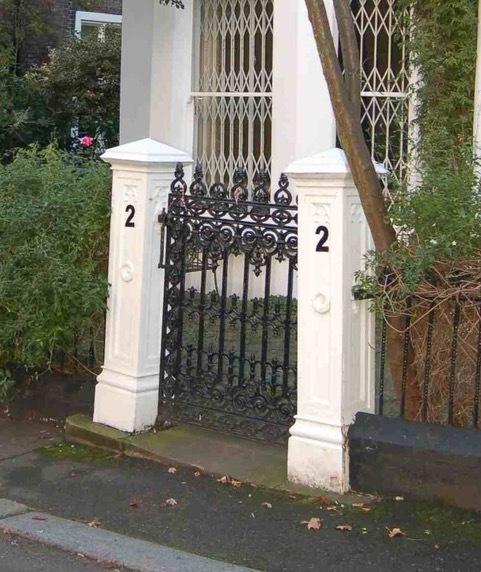 We had removed some gate-posts at the beginning of a very long-term refurbishment and extension to a house in Holland Park, that we can presume dated back to the house which was completed in 1862. They weren’t standing up straight and it turned out the the cast-iron panels of which they were constructed were heavily corroded. 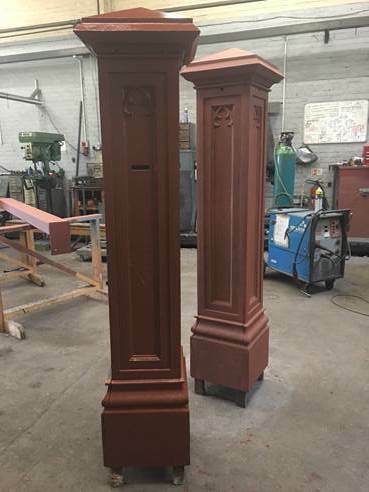 We are just awaiting completion of the replicas, and the fabricator sent through some pictures at the works- it will be exciting to see them finished and in place!